Description : A desktop POP3 client providing enriched user experience for categorised messages in your inbox. 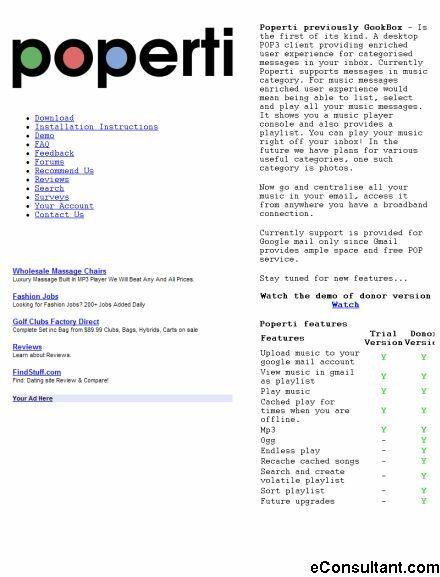 Currently Poperti supports messages in music category. For music messages enriched user experience would mean being able to list, select and play all your music messages. It shows you a music player console and also provides a playlist. You can play your music right off your inbox! In the future we have plans for various useful categories, one such category is photos.